The Associated General Contractors of America just released a new safety study with recommendations designed to help firms further improve the safety and health of their workforce. AGC of America partnered with the Myers-Lawson School of Construction at Virginia Tech to undertake a comprehensive study of every construction fatality that took place over the three-year period from 2010-2012. A total of 2,338 workers died from construction-related injuries between 2010 and 2012, out of an overall 14,011 fatalities across all industries. Although no significant trend was observed across the three years, the difference among census regions was significant. Southern states accounted for 1,081 (46%) of those fatalities, more than twice that of any other region. When employment was factored in, the South still led the regions with 17 fatalities per 100,000 employees per year. It was followed closely by the Midwest with 16 fatalities per 100,000 employees. ... but not electronically, yet. In May, 2016, OSHA issued a new rule to improve tracking of workplace injuries and illnesses, which included provisions for employers to submit recordkeeping data electronically. In addition to requiring the electronic submission of recordkeeping data, the final rule also includes provisions that prohibit employers from retaliating against workers for reporting a fatality, injury, or illness. "OSHA is not accepting electronic submissions of injury and illness logs at this time, and intends to propose extending the July 1, 2017 date by which certain employers are required to submit the information from their completed 2016 Form 300A electronically. Updates will be posted to this webpage when they are available." Intro. 81-A requires the Department of Buildings (DOB) to notify OSHA about Construction Code violations that may endanger workers. "If New York City is going to prevent another 33 construction worker fatalities over the next two years, we need to make sure that the Buildings Department is communicating with OSHA about violations that could jeopardize worker safety. We cannot solve the problem if the left hand is not working together with the right hand." said Council Member Rory I. Lancman. Intro. 1433-A requires DOB to list online incidents that have occurred on a construction site. The Federal Railroad Administration (FRA) has granted an extra year for U.S. railroads to comply with training requirements in the Rail Safety Improvement Act of 2008, which established minimum training standards for all safety-related railroad employees. The FRA says model training program developers alerted the agency that "they will not be able to timely produce model programs that an estimated 1,459 railroads and contractors are expected to use to comply with the rule's program submission requirements." A worker in your crew just fell from a height and is suspended from a fall-arrest system! What do you do now? Speeding has been a factor in nearly 1/3rd of U.S. crash deaths every year since 2005. Research shows that a 5% cut in average speed can result in a 30% reduction in the number of fatal road traffic crashes, so small changes can create big results! That's why the Network of Employers for Traffic Safety (NETS) now offers its Drive Safely Work Week™ (DSWW) road safety awareness campaign more frequently, beginning with a new campaign focused on speed. The emphasis is on short, direct, actionable messages highlighting specific behaviors employees can change that will reduce their risk of a vehicle crash. We've just launched our 2017 Customer Survey. Help us help you - and you could help yourself to a $50 gift card. 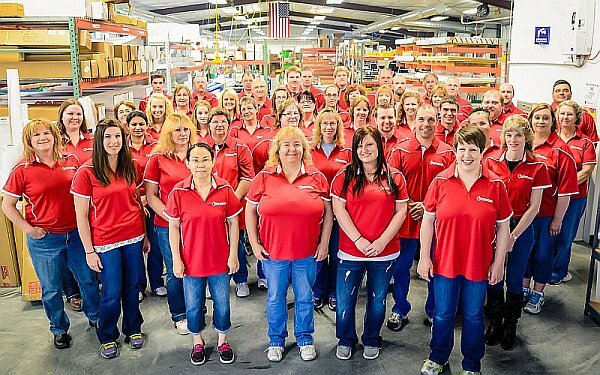 Everyone at ComplianceSigns, Inc. - from the website team to the shipping department - strives to make shopping with us a great experience. And we can do that best with input from our loyal customers. We’re excited about this opportunity to learn how we can enhance our products and site to best serve your needs. If you receive our Connection workplace safety newsletter, you've already received a survey invitation via email. We hope you'll use it to tell us about new products you want or need, which website capabilities are most important to you, and about your biggest challenges involving safety signs and labels. Please take our 10-question Customer Survey before May 31. You could win one of five $50 gift cards in a random drawing.